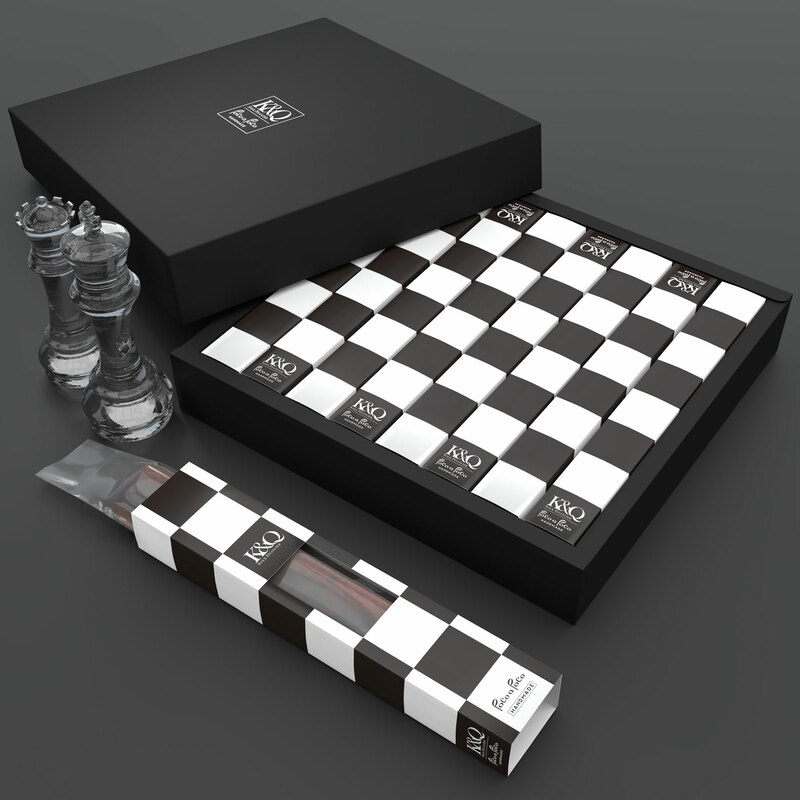 This is a packaging design for baked goods (stick cakes, financiers, etc.). Stick-shaped sweets (cakes and baked goods, chocolates) are often sold wrapped in plastic bags. However, because of their long, thin shape and the unstable plastic packaging, there isn’t much usable space for design elements, and any elements present are necessarily difficult to read. Our design solves these issues by covering the plastic bag in an embellished paper sleeve. With a length to width ratio of 8:1, the sides of these sleeves are extremely long and are covered in a checkerboard pattern. The pattern continues onto the front, which also features a centrally located window through which the contents of the sleeve can be seen. These paper sleeves were designed to keep costs to a minimum with no glue required for their assembly. Each sleeve is made out of a single piece of die-cut paper that allows the final shape to be formed by hand in only one step. 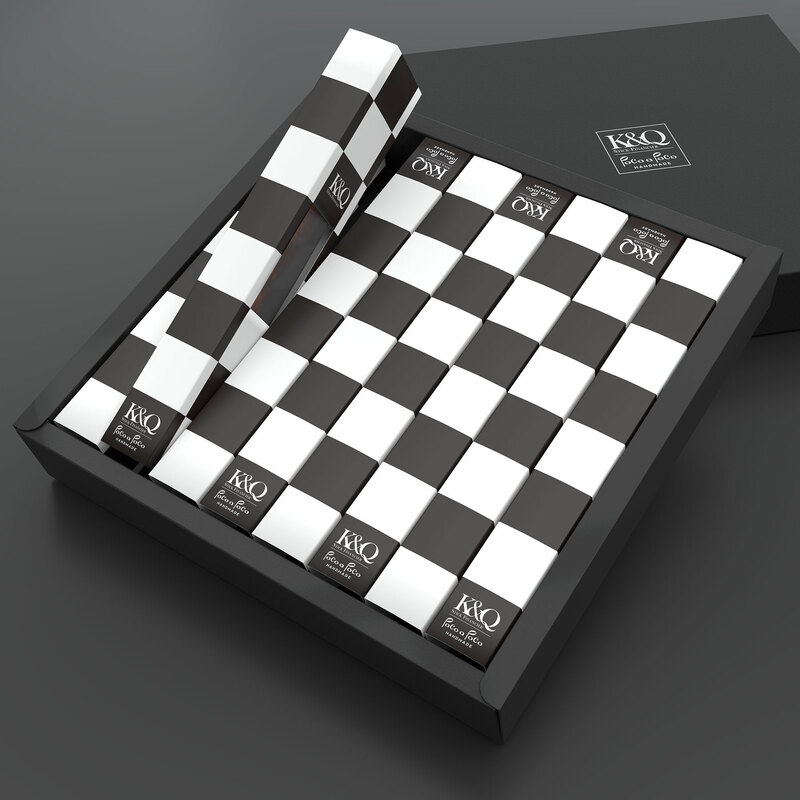 When all eight sleeves contained in this gift set are aligned, the beautiful checkered pattern of a chessboard is revealed. K&Q makes your special occasion as elegant as the tea time of a king and queen.